World Of Dog Training is an in depth Dog Training Education company. We pride ourselves on educating dog enthusiasts on canine language and training. To best teach our clients we offer dog training books, e-courses and in person lessons. When you follow our tried and trued recipe for training success we guarantee the results. 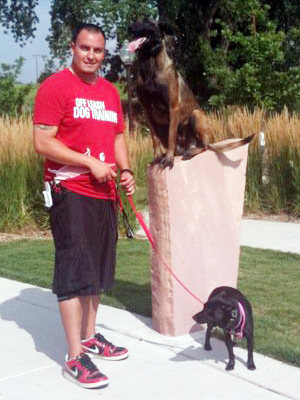 We are veteran owned and operated by head trainer Ryan Matthews, Dog Trainer. 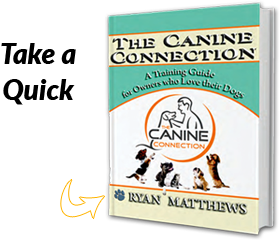 Dog trainer Ryan Matthews has been training dogs since 2002. 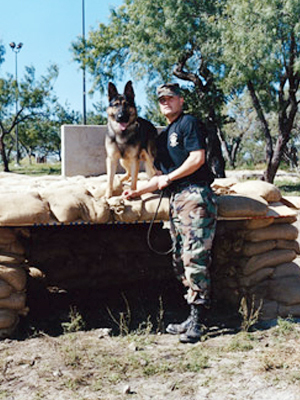 He began his career in dog training with training and handling elite Military Working Dogs (MWDs). While in the Army he performed bite protection training, bomb threat sweeps, secret service missions, combat deployment to Iraq (with his MWD Zito) where he worked with Special Forces and Infantry units. World Of Dog Training has trained over 3,000 pet dogs with incredible transformations. We use a training method that is best for you and your dog. You will find that upon completion of our program you will become a dog handler not just a dog owner. The difference is priceless. Not only will your beloved pet be obedient off leash with distractions, you will be able to take your dog along with you and incorporate it into your lifestyle, such as hiking. On top of all of that we will clear up common misconceptions about dogs by teaching dog psychology.